The 1987 Teenage Mutant Ninja Turtles cartoon, the one produced by Fred Wolf, had a strange broadcast history. Some of it aired on CBS Saturday mornings. Some of it aired in syndication on weekday afternoons. Some of it aired on the USA Network on weekday mornings. And some of it even got the Prime Time Special treatment. As a result, the episodes were badly, badly jumbled up from what their narrative chronology should have been. Not that there WAS much narrative chronology for most of the show’s run. While the bookending seasons did have legitimate serialized story arcs, the majority of the episodes from seasons 3 through 7 were episodic with only the occasional multi-parter and season finale to define the order of events. That said, what little continuity there WAS in those seasons was ravaged, particularly during season 4, and viewing the show in either the broadcast or catalog orders will leave you confounded. So, having watched through the whole series and reviewed every last episode, I figured I’d try to assemble a workable viewing order along the way. Keep in mind that TMNT had what can only be charitably described as “lax” story editing. There are a lot of irreconcilable continuity errors and contradictions which no amount of creative reordering can repair. My goal was to restore what felt like the “intended” sequence of episodes with maybe a little bit of liberal dot-connecting and imaginative bridging on my part. Rather than break the episodes up by season, I decided to organize them by the location of the Technodrome or the standing of the main villains. See the Notes section at the end of the article for explanations about the order or various anomalies. *There’s nothing to note about the continuity of season 1. It aired as a five-part miniseries, so the chronology is intuitive. Since the Technodrome wasn’t “stuck” anywhere this season, I took this segment’s title from the VHS tape that (crudely) compiled the first season into a “movie”. *In the end, the Technodrome is sucked into Dimension X. *Season 2 has one major story arc with tight continuity and then a second "arc" with much looser continuity. The first arc is the Eye of Sarnath multi-parter and its continuity is intuitive (spanning "The Incredible Shrinking Turtles" through "Curse of the Evil Eye"). It's the looser second half of the season that inspired some episode shuffling, even if on the surface it might not seem like anything was needed. *"Case of the Killer Pizzas" took some thinking. It was originally slotted between "Curse of the Evil Eye" (where Baxter Stockman betrays Shredder) and "Enter: The Fly" (where Baxter is banished to Dimension X for his failures). Thematically, "Enter: The Fly" is a better followup to "Curse of the Evil Eye", as Shredder gets revenge on Baxter for betraying him. "Case of the Killer Pizzas" also features a line from Shredder to Baxter, swearing to "make a ninja out of you yet". This actually works as a followup to "Return of the Shredder", where Shredder's original goal upon returning to Earth was to rebuild his ninja army. The only problem is that the episode opens with Krang sending resources to Shredder, as he deems him incapable of functioning on his own; an event that makes a bit more sense as a later season episode than at the beginning. So it was give or take, but I think "Case" fits in better before the Eye of Sarnath arc. *The second half of the season requires a bit more attention to get the continuity straight, but there's definitely a chronology. A recurring theme in the season is Irma's desire to meet the Turtles, so episodes like "New York's Shiniest" have to take place before she meets them in "The Catwoman of Channel 6". *"Splinter No More" sees the Shredder making his first effort to open a portal to Dimension X while "Invasion of the Punk Frogs" has Splinter say that they now know the Shredder is attempting to return the Technodrome to Earth, so those two pair together nicely. "Teenagers from Dimension X" is another episode where Shredder tries to open a portal to Dimension X, so it has to take place after his first attempt. *"The Catwoman from Channel 6", as mentioned, sees Irma finally meeting the Turtles after pining for them all season, so it should come near the end. It also features a line from Krang boasting about the Technodrome's imminent return to Earth, so it makes for a solid prelude to the season finale "Return of the Technodrome" (which ultimately sees it buried at the Earth's core). *There is very little episode-to-episode continuity in season 3, so it required only minor rearranging. That said, there were a few bits of discontinuity to fix-up. *In “The Old Switcheroo”, Donatello doesn’t recognize the Driller Module and Splinter remarks that the location of the Technodrome is a mystery, so I felt it ought to occur near the very beginning of the season. 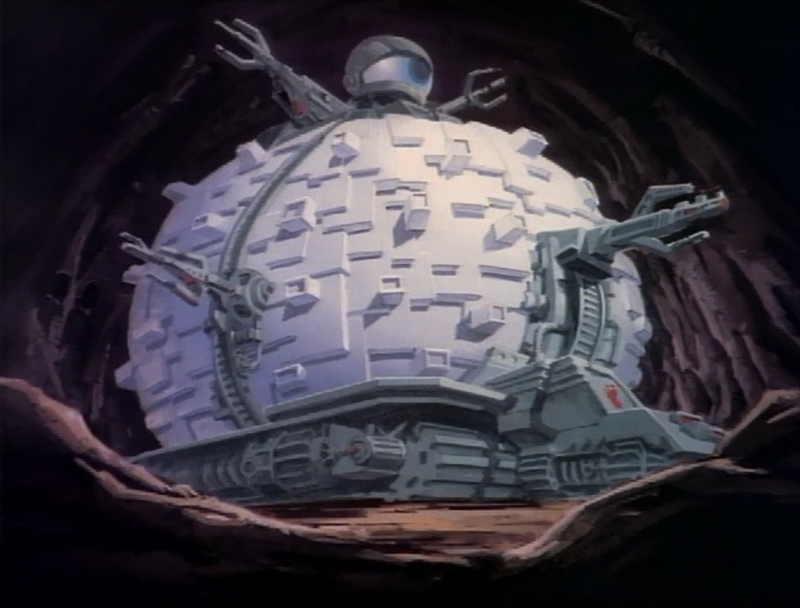 *In “Burne’s Blues”, Shredder and Krang begin a brief arc where they need to fix the Technodrome’s air conditioner. In “Turtles on Trial”, they steal the part needed to fix it. And in “April Fool”, the episode opens with Shredder mentioning that even though the AC is fixed, it’s still damn hot in the Technodrome. So these episodes have to happen in succession. *I placed “Sky Turtles” in the sixth spot of the season because of an off-hand joke from “Enter the Rat King” where Donatello references the events of “Sky Turtles” as episode 6. Obviously it could not be the sixth episode of the series, but shuffling it to the sixth for the season didn’t hurt. They’d try this same gag later with “Slash – The Evil Turtle from Dimension X”, but in that case the numbers will be so far off that you can’t accommodate the joke. This is me stupidly trying too hard. *“Green with Jealousy” ends with the Technodrome stealing a tiny bit of energy. “Return of the Fly” opens with the Technodrome using its last bit of energy to reposition itself. The episodes were already ordered in succession, so I didn’t have to rearrange anything. I just thought I’d point that out. *“The Big Rip Off”, “The Big Break In” and “The Big Blow Out” are a three-parter that ends with the Technodrome being banished to Dimension X once more; this time lodged in the side of a planetoid. *These episodes aired in Japan and parts of Europe alongside the season 4 episodes, where they chronologically take place, but were not broadcast in the United States until season 7 (where they aired on the USA Network). The 13 European Vacation episodes take place after “Plan 6 from Outer Space” (the first episode of season 4), which ends with the Turtles winning the trip to Europe. *There is no logic to their trek across Europe whatsoever; they backtrack frequently and the dates provided in certain episodes would have them bouncing between summer-winter-spring like crazy. I chose to go with the order created by Danish TMNT fan “Danetello”, who organized a more reasonable mapping of their progress across Europe (accounting for seasons and dates). *That said, even his order had a continuity error in it, as April leaves Paris in “Venice on the Half Shell” which forces it to take place near the start of the European Vacation cycle. As a result, my order has the Turtles going from Paris, to Italy, to Portugal, which is pretty counter-intuitive if you look at a map. 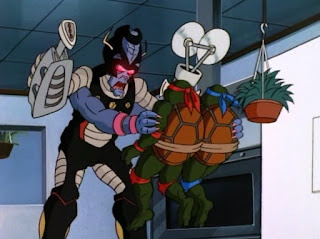 But jeez, there’s really no way to rectify much of this season (for example: the first two episodes, “Tower of Power” and “Rust Never Sleeps”, are completely incompatible with each other as they tell alternate versions of the Turtles arriving in Paris and the Shredder finding out that they’re there). *The first 13 episodes of season 4 aired in syndication while the rest of the episodes aired on CBS Saturday mornings. The syndicated episodes were the last to use the original title sequence and episode title cards. So, unfortunately, shuffling the syndicated and Saturday morning season 4 episodes around will result in jumbled title sequences. *Okay, so about the Technodrome and the volcano. The Technodrome gets trapped in solidified lava in “The Dimension X Story”, an episode that for whatever reason is cataloged near the end of season 4. 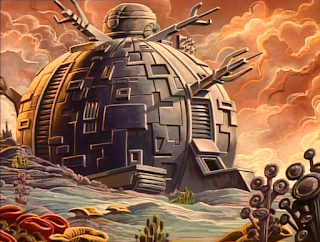 I went through every episode of this season and looked at all the establishing shots of the Technodrome, trying to determine which episodes took place before the volcanic eruption and which episodes took place afterward. I took screenshots, listened to dialogue for the word “lava”, compiled lists, revised them, and what was my conclusion? *There is no way to tell. 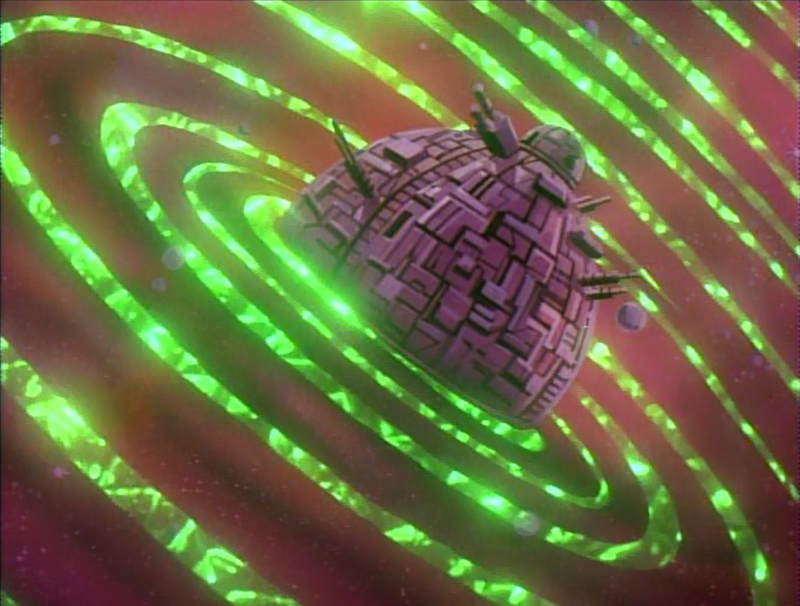 Establishing shots from “Plan 6 from Outer Space”, an episode that occurs before the volcano erupts, are reused in episodes that take place after the Technodrome has been buried in lava (the characters even mention the lava problem in the dialogue). 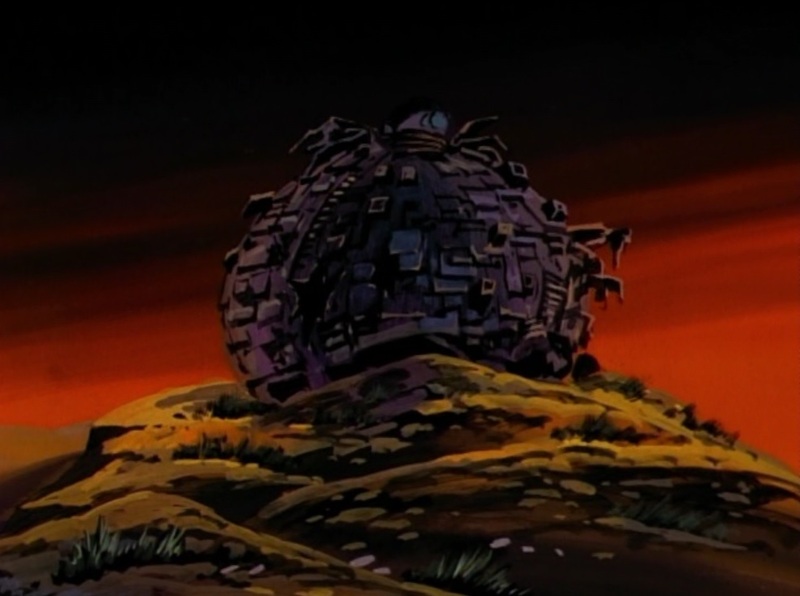 Some episodes will use establishing shots where the Technodrome is buried in lava, then later use establishing shots where it isn’t. *So I just gave up. And even then, some of those establishing shots where the Technodrome is “free” aren’t even that clear, as half the time the background painter still rendered the Technodrome as buried or wedged into the mountainside. So you can’t particularly tell one way or the other. I just moved “The Dimension X Story” to the start of the post-European Vacation episodes and was done with it. *That said, “Son of Return of the Fly II” has to take place immediately after “The Dimension X Story” because the episode opens with Shredder and Krang reeling from the eruption and trying to get a status report on the Technodrome. *I shuffled “Beyond the Donatello Nebula” toward the start of the season because it features a subplot where Donatello is searching for alien turtle life. “Planet of the Turtles” opens with him having found it, so the two episodes go together pretty well. *“Name That Toon” and “Menace Maestro, Please” are a two-parter and have to go together. *“The Turtles and the Hare” and “Once Upon a Time Machine” are also a two-parter. Combined, they formed the “Awesome Easter”, as it was called on VHS. These episodes aired between seasons 4 and 5 (but are cataloged as season 5). However, they have the original title sequence and title cards which were discontinued after the syndicated episodes of season 4, which is why I put them near the start of the season. *A recurring character named Morgan J. Lofty appears in 3 episodes this season, but the order of his appearances was screwed up. His first appearance should be in “The Big Zipp Attack” (where the Turtles save him and his skyscraper). His next appearance is either “Rebel Without a Fin” (where he tells the Turtles, “You’ve done it again”) or “Slash – The Evil Turtle from Dimension X” (where he tells the Turtles, “This isn’t the first time you’ve helped me”). “Slash – The Evil Turtle from Dimension X” aired before the other two, hence why I had to rearrange them. *Incidentally, in the season 6 episode, “Donatello Trashes Slash”, Michelangelo jokingly mentions that they first met Slash in episode 74. Unfortunately, there’s no manner of shuffling that can force “Slash – The Evil Turtle from Dimension X” into the #74 spot; not without messing up existing continuity. So I couldn’t pull a “Sky Turtles” with this one. *“My Brother the Bad Guy” is a season 5 episode. 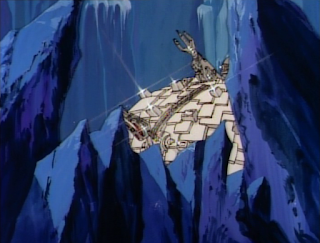 Normally, the seasons would end with the Technodrome getting displaced, but season 4 ended on a non-finale for some reason and the Technodrome got waylaid in the Arctic chasm in the season 5 opener. *Most of these episodes are from season 5 and yes, I shuffled “Enter: Mutagen Man” ahead of “Michelangelo Meets Mondo Gecko”. I just felt that this segment of my list should open with a Shredder/Krang story. I indulged myself. Forgive me. *“Landlord of the Flies” is one of those episodes with irreconcilable continuity that I was talking about. It takes place after “Son of Return of the Fly II” but will be ignored completely by the season 7 episode “Revenge of the Fly” (which will also pick up where “Son of Return of the Fly II” left off). This is what I have to work with here, people. *For most of season 5, the Technodrome is lodged in the bottom of a dark, icy chasm. In “The Ice Creature Cometh”, it briefly escapes from the chasm and into the light of day, only to be frozen in place by a melting ice monster. 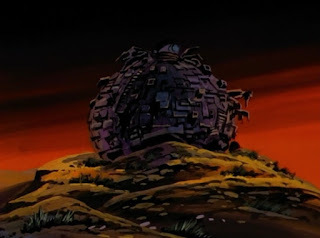 Any episode with an establishing shot that showed the Technodrome not in that chasm, but in the light of day, I shuffled to the end of the season. *“Leonardo is Missing” is a season 6 episode, but it features the Technodrome in the arctic, so it takes place during season 5. *I had a little trouble with “Planet of the Turtleoids”. It was a prime time special that aired at the start of season 5, then was broken into two-parts and rebroadcast on Saturday mornings in the middle of the season. Even more confusing, it is officially cataloged as being the finale of season 5. The establishing shot sees the Technodrome lodged in rocks, rather than ice, though the villains still use Driller Modules to get around, so they aren’t in Dimension X or anything. 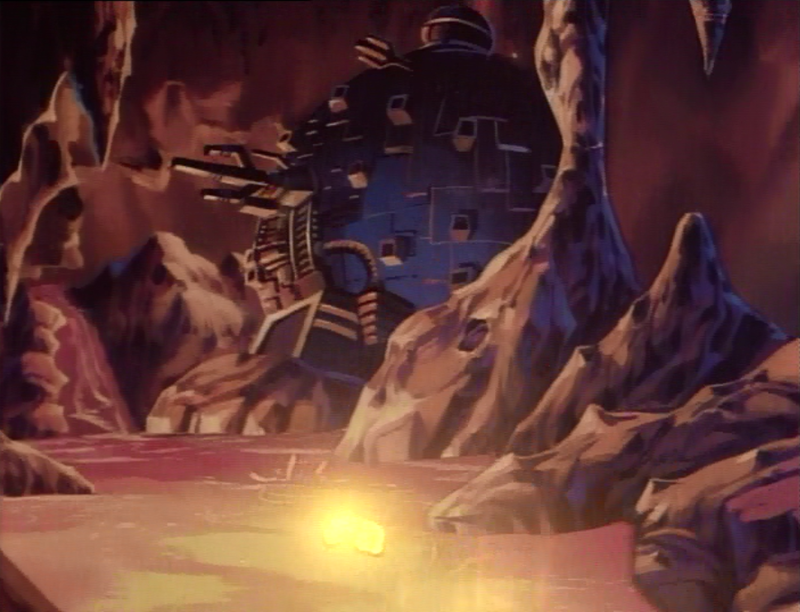 It’s a weird anomaly, but since the Technodrome is in the light of day and not at the bottom of a chasm, I guess it goes at the end of the season (as it is cataloged). *Like season 4, season 5 didn’t have a real finale (since “Planet of the Turtleoids” never actually aired as a finale). 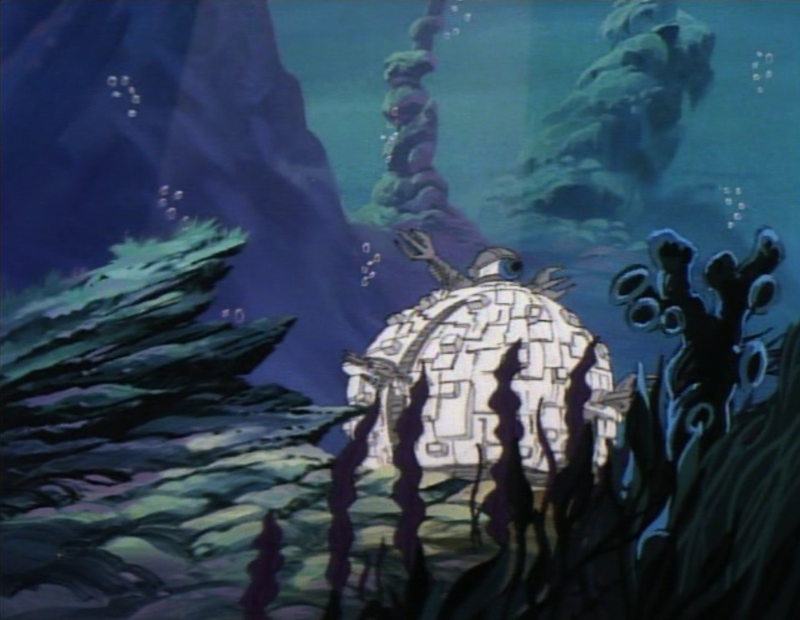 So “Rock Around the Block”, the season 6 opener, is the one that waylays the Technodrome on the ocean floor for the next stretch of episodes. 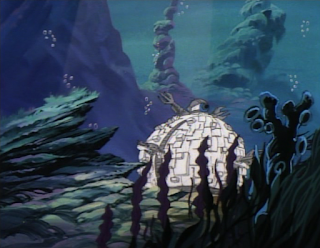 *The Technodrome remained on the ocean floor for seasons 6 and 7. I already mentioned that the European Vacation episodes aired during season 7 in the US and are officially cataloged as season 7 episodes, but they aren’t part of the “real” season 7. “Night of the Dark Turtle” is the first episode of season 7, at least as it was broadcast on CBS. *Incidentally, as another bit of irreconcilable continuity, the European Vacation episode “The Lost Queen of Atlantis” and the season 7 episode “Atlantis Awakes” feature two completely different depictions of Atlantis. And neither episode is aware of the other. *There aren’t any multi-parters or necessary continuity to this season. 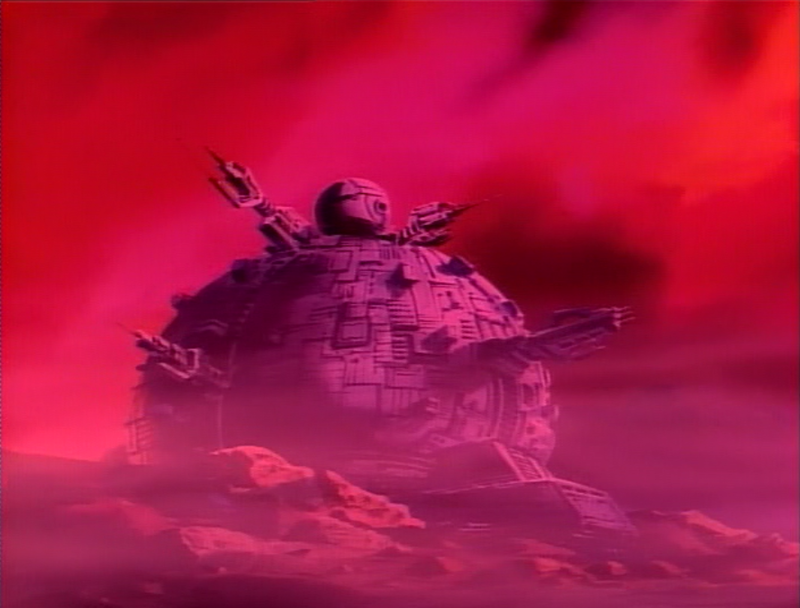 However, “Escape from the Planet of the Turtleoids” ends with the Technodrome stealing a little bit of power. 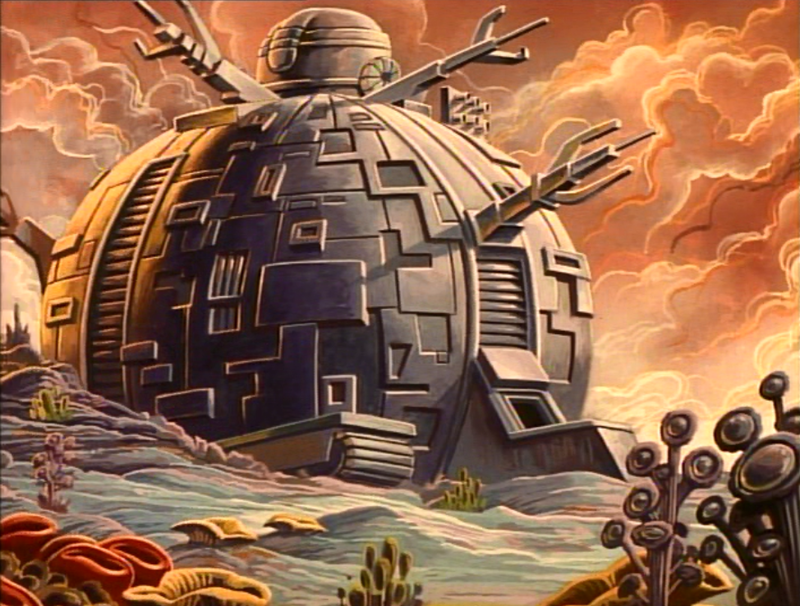 “Atlantis Awakes” sees the Technodrome using its last bit of power to attack Atlantis. I figured much like “Green with Jealousy” and “Return of the Fly”, they’d go together fairly well so I shuffled them that way. I moved “Atlantis Awakes” down to just before “Shredder Triumpant” because the active Technodrome seemed like a good primer for the season finale. *The season ends with the Technodrome getting launched back into Dimension X, but stranding Shredder and Krang on Earth. *Season 8 is the beginning of the “red sky” era where the series got a redesign and a more “serious” edge. This season, and all that follow, have a strict episode-to-episode continuity so there’ll be no more reorganizing from the cataloged order. *This season features Shredder and Krang as the main villains (save a three-parter featuring the terrorist group H.A.V.O.C. 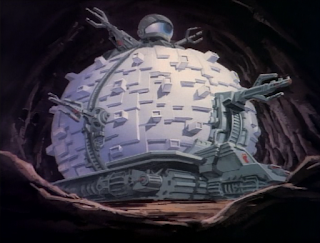 ), trying to get the Technodrome out of Dimension X (where it is lodged in a black hole). In the end, they're banished to Dimension X and the Technodrome is destroyed for good. *Season 9 is the first of the seasons to see Lord Dregg as the primary antagonist. *In this season, he pretends to be a friendly alien out to help the Earth. Of course, he just wants to take it over. April exposes him in the finale. *Season 10, the final season, features Dregg forgoing any pretenses of deception and trying to take the Earth by force. *Shredder and Krang return for a three-parter, but are ultimately banished to Dimension X once and for all. By the series finale, Dregg's followers abandon him, the Turtles succeed in defeating him and they graduate from ninja training as Splinter's equals. *There have been appearances from the 1987 Turtles outside of the TMNT series proper. I didn’t include these appearances because most of them are a bit too, uh, “meta”. Yes, even by this show’s standards. *For example, “Cartoon All-Stars to the Rescue” features Michelangelo, yeah, but in the “real world” where he teams up with Alvin and the Chipmunks, Garfield, Slimer and Alf to convince a teenager that marijuana will destroy him and his entire family. Just… no. *The “Turtle Tips” PSAs aired during season 4 as a bridge between episodes (TMNT was broadcast in a one-hour block during that season). I mean… I GUESS those PSAs could take place during the show, but they feature the characters talking directly to the audience. I mean, more so than usual. *The “Mutant Turtles: Superman Legend” anime OVAs, a two-episode series, feature some incompatible continuity… even between their two episodes. 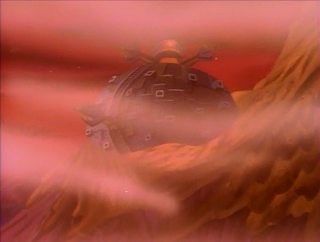 The first episode features the Technodrome underground, the second episode has it in Dimension X. The OVAs were released after Japan stopped dubbing the American cartoon, so I view them as a splinter timeline branching off from “Donatello’s Badd Time” (the last episode dubbed in Japanese). *All that being said, I would definitely say the 4Kids-produced “Turtles Forever” film and the various cameos/crossovers with the Nickelodeon TMNT cartoon are “canon”. However, the writers for those stories play very loosely with continuity that would contradict or impact the Fred Wolf timeline. 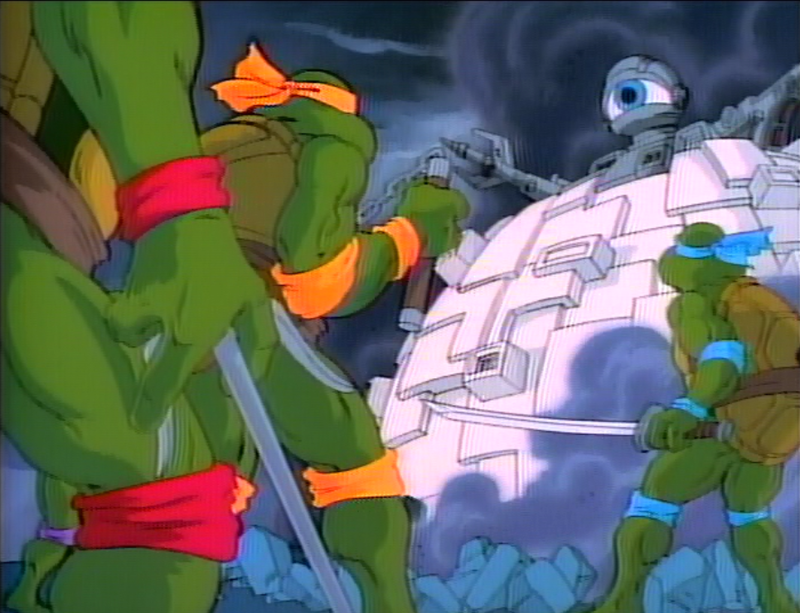 *For instance, “Turtles Forever” concludes with the Technodrome returning to the Fred Wolf universe, but retaining the upgrades the 4Kids Shredder imposed upon it. *The cameo in the Nickelodeon season 2 episode “Wormquake!” could really take place anywhere between Fred Wolf season 3 (because Casey Jones appears) and season 7 (because the Turtles are drawn in their pre-“red sky” designs). The Nickelodeon season 4 episode "Trans-Dimensional Turtles" is in a similar boat, though it features a completely revised origin for the Fred Wolf incarnation of Krang. The Nickelodeon season 5 multi-parter "Wanted: Bebop and Rocksteady" features the Technodrome underground, which would seem to set it in Fred Wolf season 3, but it ends with the Technodrome being destroyed, Shredder and Krang being captured, and Bebop and Rocksteady turning over a new leaf. You just kind of have to roll with it. I wish the people that made DVDs of animated shows put in this much work to put them in the right order. My god, you put a hell of a lot more work into deciphering the continuity of this show than any of the show-runners or people in charge of the series did. Your hard work is appreciated. Its rather obvious that the writers of this show were all writing scripts at the same time and had no idea what the other writers were doing, (hence two Atlantis, two alien Turtle Planets, etc), so all the scripts were written without any knowledge for the most part of what anyone else was doing. This is especially noticeable in Season 4 due to the sheer mass of episodes that season. That being said the show had a lot of sequel episodes where past events were referenced or brought up, so it seems like if something happened in a previous season and they made a similar plot or brought back a recurring villain, it was usually remembered. I also sometimes wonder if Scumbug had a Season 5 episode planned but for some reason the script was never approved, hence why he recognizes the Turtles in Season 7. Season 5 brought in a lot of new mutants/characters like Muckman, Mutagen Man, Mondo Gecko, Wingnut/Screwlose, Groundchuck/Dirtbag....so I figure if Scumbug was ever planned to have an episode it likely would have been in Season 5. After 10 seasons and multiple writers, changing broadcast stations, dozens of animation teams, and the fad dying...its actually something of a miracle the show was able to have a proper conclusion. The show could have ended on a random non-finale like the Season 4 or 6 final episodes (random mad scientist episodes), or what Japan stopped at, and that would have been terrible. The original cartoon must have had one of the strangest production schedules in cartoon history. I always do appreciate that David Wise tried to keep the show on track as best he could. It really just shows how different cartoons are made between then and now. But what about the Video games set in cartoon canon? Nothing is sexier to Mark Pellegrini than orders and timelines. One of the things the show could have done without were the 'this happened in episode -blank-' jokes since they're never set in the number the joke was referring to. Even when they originally aired them they were messed up at times. They put the time machine episode FIRST and had everybody wondering who the hell Hokum Hare was... until the following day when they aired his introduction. Geez. He gave up, but he makes some great points about season 2 continuity. Some of his season 3 changes are silly, but some make sense. Thought you might want to consider a couple of his ideas. I don't agree with all of the OP of that thread's decisions, but he does make some good points. 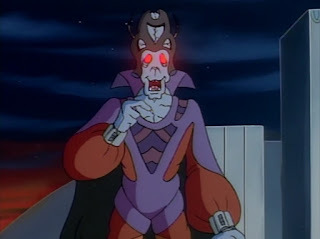 I considered shuffling "Case of the Killer Pizzas" to before the Eye of Sarnath arc since Baxter is more or less on Shredder's good side in "Case", whereas his being banished to Dimension X for his failures in "Enter the Fly" makes that episode a better followup to "Curse of the Evil Eye" than "Case". 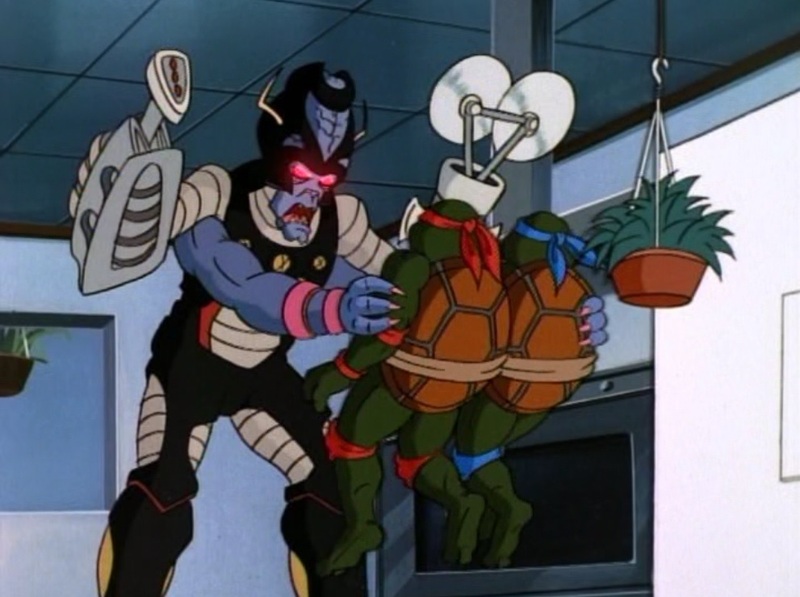 My only reservation was that Krang helps Shredder in "Case" for failing to stop the Turtles on his own, which made more sense as an episode later in the season than in beginning. But Shredder's like about trying to "make a ninja out of" Baxter made more sense coming right after "Return of the Shredder" where he tries to train ninja goons, so... It's a bit of a give and take. I'll go over some of his other season 2 suggestions and maybe take a few of them to heart and shuffle that season around a bit. Couldn't hurt. but anyway, I was looking and at the wikipedia list of broadcast order versus episode number, I'm a stickler for watching things in some kind of proper order with any show, and it was just so confusing. I googled "tmnt 1987 watch order" and this came up. I'll be using your method to rewatch them even if it is a lot of shuffling around. Hi Mark, it's great you decided to tackle this. I don't agree with all your decisions but you mostly I think did well with this. Just want to point out about the plot similarities issue that occurred I contacted David Wise just yesterday and he mentioned he wasn't aware of previous scripts by other writers hence the plot similarities. Jack Mendelsohn as script editor must have forgot about those previous stories. Hope that clarification helps. The episode titles in the lists are transparent. They have white text on (in the mobile view) a white background. Hey Mark, I'll be viewing the episodes in the order you have compiled starting tomorrow when its the 23rd of April where I live. At a rate of one episode a day, I should be able to finish all 193 episodes by the 2nd November, 2016, exaclty 20 years after the original cartoon ended. This should be an entertaining marathon. Gotta love the OT. First, regarding "Tower of Power" and "Rust Never Sleeps", I've figured out that the two sort-of work together if you watch "Tower of Power" up to the arrival in Paris, then watch "Rust Never Sleeps", then watch the rest of "Tower of Power". Second, I've always felt that "Cyber Turtles" and "Turtle Trek" should occur immediately after "Wrath of the Rat King", as the Turtles spend all their time tracking and fighting Shredder and Krang (rather obessively, in fact) during the Season 8 episodes in which they appear, but aren't concerned about Shredder and Krang at all in "State of Shock" and the HAVOC trilogy. That's an awesome list you've got here. My only problem with it is my fondness for the CBS Hour format, where the first episode would be a Shredder episode and the second would be a Shredderless episode that usually focused on an individual turtle. So I've come up with my own alternate viewing order list for the CBS Hour seasons (4-7) relying on a combo of your viewing order, the Official List, and RowdyC's Ninja Turtle Retrospective videos where he adamantly, even angrily, insists his memory of the broadcast order is more accurate than the Official List. Whether it is, it definitely makes more sense. And so here it is. * The Big Cufflink Caper!/What's Michelangelo Good For? * Invasion of the Krangazoids/Dirk Savage: Mutant Hunter! 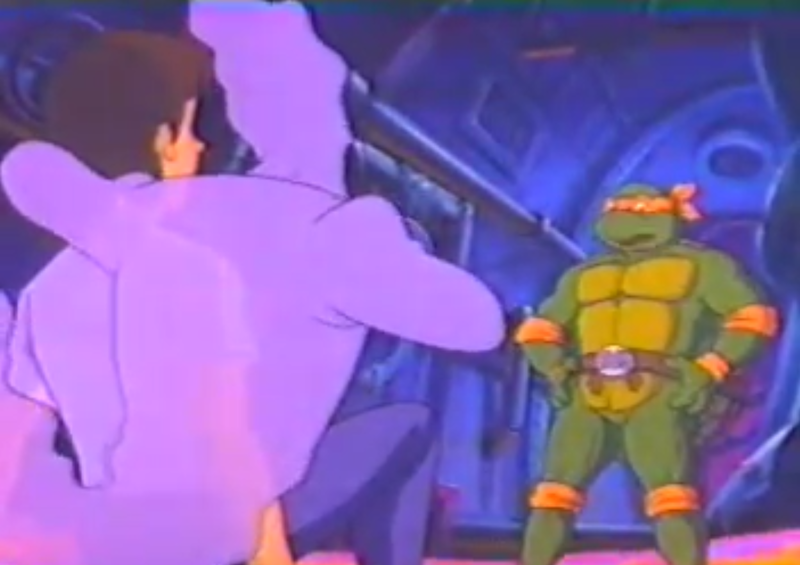 Hi Mark, I came across your blog and reviews of the '87 TMNT show after deciding to dive into this world myself. I bought all of the DVD sets as they were being released, so I never did buy any of the 'complete' sets. I'm not sure if the complete box sets had any supplemental material that would help decipher the episode order. Maybe it wouldn't hurt to just throw a bone his way and ask if he by any miraculous chance has a list of production codes or something and point him to the INSANE dedication you've made by trying to figure this stuff out. He might even know why some decisions were made with the simultaneous syndication and CBS stuff. Anyways, great work on your list, and this would be the order I'd watch the episodes, unless a production code list materializes and conflicts with it. I don't know where the content for that 'TV Broadcast' column on the episode guides on Wikipedia came from. Someone knew that there was a cancelled episode intended as the 10th in Season 2, but there's no citation. I meant it would be nice to get season 3 and 4 down to 20 or less. Can you do this for the 2003-2009 series also? I know there's a timeline at Jephael's fansite, but I'm talking about an episode order. ^As far as I know, there was nothing particularly wrong with the regular order of the 2003 episodes. Why do you want a list? Did you find something was amiss? Also, mad props for making this list, Mark. The site is SUPER-AWESOME!!!!! Thank you for providing A LOT of the information there! It's good to see some more super heroic cartoon guides to be like that!